Large urban areas aren’t the only places with income inequality. Rural counties have a widening income gap. Where do the wealthiest American live? You might imagine big cities, the financial and business hubs. Where those at the top are living alongside the urban poor, who are dependent on public transportation and social services. But as more attention has turned to income inequality, a more complicated picture is emerging. In fact, the most extreme income gaps are where some might least expect to find them: in rural America. Small Texas counties, for example. Mark Price is labor economist for Keystone Research Center in Pennsylvania who worked on a report calculating income inequality county by county for the Economic Policy Institute, a left-leaning think tank based in Washington DC. He says some small counties in Texas had people with very high incomes, which drove up the gap. He says the highest earners are getting a larger share of wealth than they used to. But there is a bright point in the data, Price says. 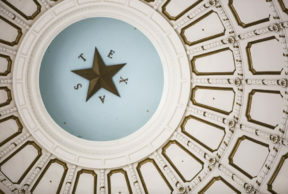 “From 2009-2013, Texas did relatively well, in the sense that compared to the rest of the country, the bottom 99 percent saw their incomes climb by 3.4 percent, nationally it was less than a percentage point,” he says.